This book begins with the most annoying accent I have ever heard. But if you can get past the grating, nails-on-a-chalk-board, please-shoot-me-now voice in part one, you'll be rewarded with much better narrators whom's voices sound like the sweet serenade of angels after what you just preserved through. Part one isn't all that bad, despite the awful narrator I was still hooked and fascinated by the amazing technology being explained, and it only gets cooler from there on out. The first half of this book almost seemed like a collection of short stories, each exploring different themes and the fascinating abilities of nanotechnology in the use of virtual reality. I didn't mind this slow set up. 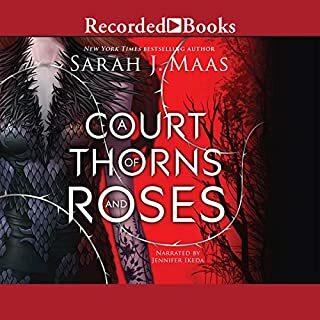 I fully enjoyed every part, not worrying about how each seemingly unrelated storyline pertained to the overarching plot. But do not fear! Mather does not disappoint. All the stories merge together, the book picks up pace exponentially, and by the end you'll probably be surprised, satisfied, and happily awaiting the next installment. But in all honestly, I didn't love this book for the story, I loved it for the awesome technology. What makes this book so cool is Mather's ability to make it believable. Our perception of reality and the space around us is only what our senses tell our brains, so once we figure out how to hijack our nervous system we can trick our brains into believing anything. I'm now patiently waiting for my own bag of smarticles that I can sprinkle over my head like pixie dust, then it's on to the multiverse! I'll be off on adventures in Middle Earth, or fighting the Alliance in a Firefly universe while my proxy makes sure my body is getting its exercise, eating healthy, and doing the dishes. Oh, and did I mention smarticles can trick your senses into thinking your tiny dorm room is actually a mansion that belongs in Beverly Hills, or that your boyfriend looks and sounds exactly like Ryan Gosling? (For a pricy fee, of course) And that by becoming a 'virtual consumer' you'll be saving the planet! Sounds pretty sweet, right? 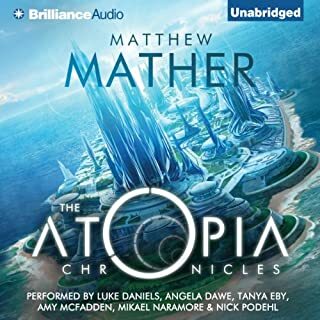 Mather keeps the reader entertained with the endless possibilities that this new technology will unleash, and he doesn't shy away from the scary, dark, twisted, and down right disgusting ones either. Buy this book. You won't be disappointed. Everything I want in a book! What did you love best about Cress? I love the premise, it's like a mash up of Disney princesses and Star Wars or Firefly--3 of my favorite things, no big deal. Just kidding, this series makes me giddy. AND Marissa Meyer does not disappoint. The plot is clever. Meyer puts her own spin on classic fairytales, intricately weaving together multiple stories while managing to remain true to the most beloved parts of the original. The Characters. I love them. All of them. Meyer does such a great job with the group dynamic. I love how she brings the different princesses to life with all of their idiosyncrasies. I love each of them, it's hard to pick a favorite, which means there's never a dull chapter. Each POV keeps my attention, I never wanted to skip ahead to a different plot line. I love that the 'princes' have personalities, woo hoo! (thankfully Disney and Pixar are jumping on that bandwagon, too). Captain Thorne is my absolute favorite. Oh, and we can't forget about our favorite sidekick, Iko, she is simply fabulous. The narration. Rebecca Soler is the best narrator I've ever listened to (and I have a few dozen audiobooks). She really brings the characters alive, giving each one a perfect voice. She truly is an actor. Every emotion the character's are feeling come through in her tone and delivery, she has great comedic timing, great accents, and a pretty awesome robot voice. Not gonna lie, I'm jealous. She brings something to the story that I never would've gotten simply from reading it. There are times where her acting is so good I feel like I'm listening to a movie. Soler is the best. I wish she narrated more books. 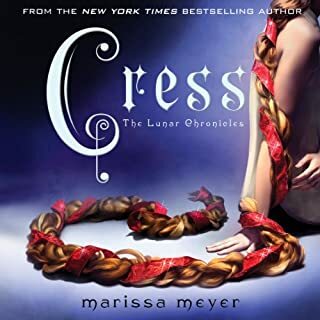 The plot, characters, settings, adventure, the romance, and the world of The Lunar Chronicles. That's everything, right? Don't ask that of me, it's impossible to choose. We need to get a petition going for Joss Whedon to turn this series into a movie.